Last week, we were at the Atlantis getting very pampered with massages, pedicures and lunch by the pool. That was the life! 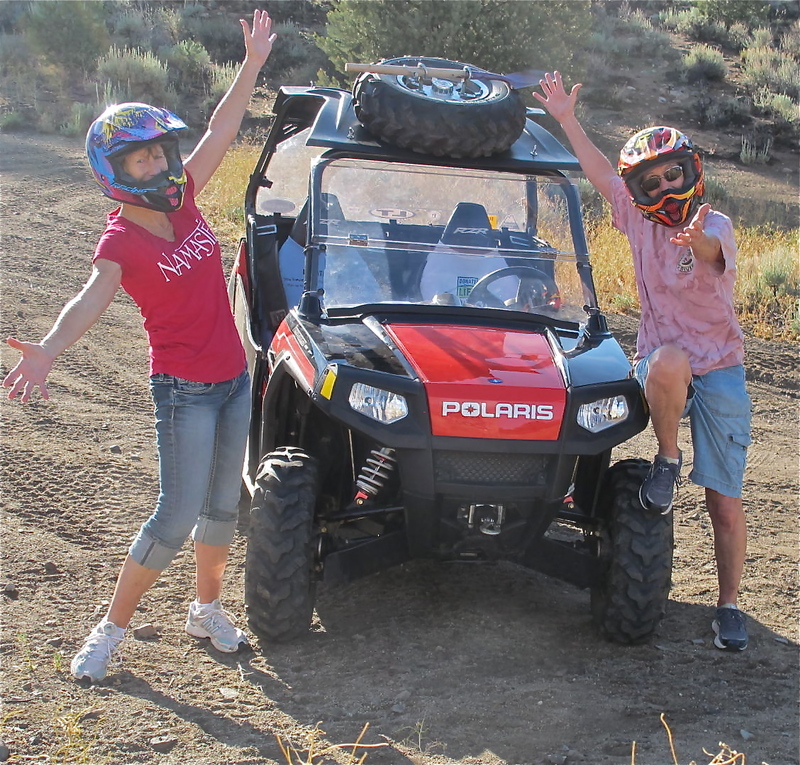 But life moves on and this week, we had to try out a brand new adventure with our new toy, a Polaris Razor. We went about twenty-miles+ east into BLM land on a recently regarded road. It was really nice and relatively smooth. 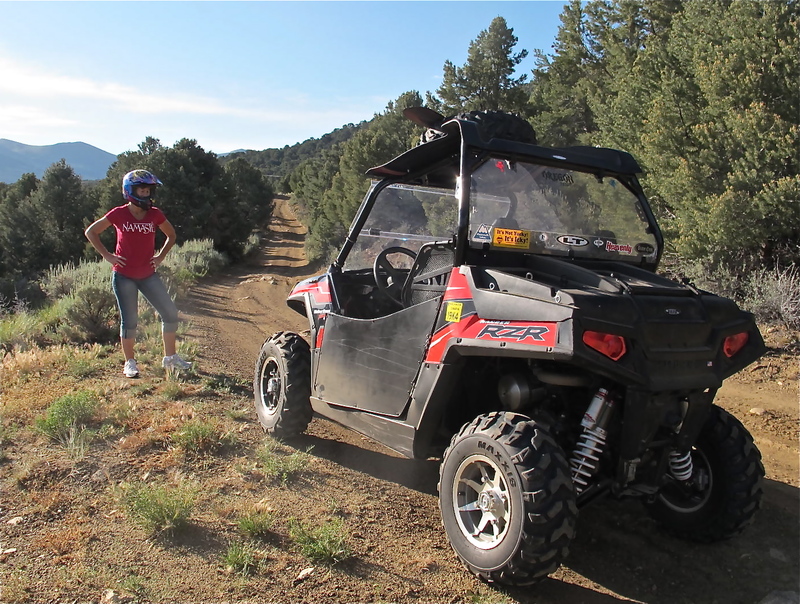 Our new toy has adjustable shocks, so the ride is much better than on the quad. I also think it’s much safer with roll bars, 5-point seat belts and a winch. Plus, we are side by side and can sort of talk to each other over the noise of the engine. It’s a blast to drive and are looking forward to taking a much longer ride soon. Looking toward the southeast, the sky looks a bit hazy, which could be due to possible, pending thunderstorms. We took a couple of side roads just to see what is out there because I thought I had seen tailings from a mine, but the roads didn’t take us there. One of the roads would have taken us about 12 miles northeast to Dayton, NV out on Highway 50 (the loneliest road in the USA), but, that is for another day. That road was definitely for an ATV or 4-wheel drive truck as it was narrow and pretty rough and we will be taking it soon when it’s not as hot later in the day. We saw many rabbits, chipmunks, squirrels and one large lizard. 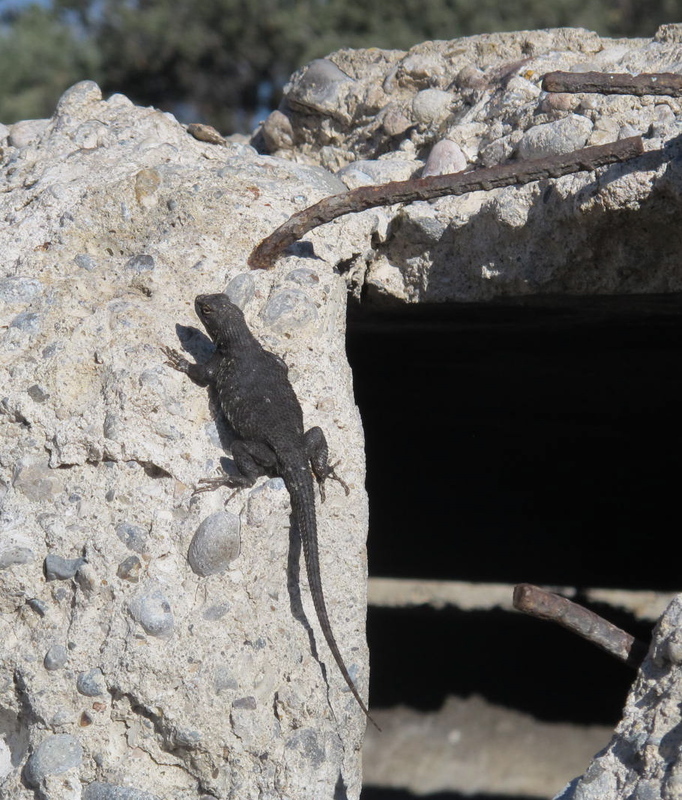 I thought it might be a young chuckwalla but he didn’t match the images I found on the Internet. So who knows what he was? Whatever, he was long and fat. We were only out for a couple of hours, but plan on doing a longer trip soon. This shakedown cruise let us know that this is going to be quite a lot of fun. It’s too bad it couldn’t be longer but with the heat coming on, my needing to do an errand and Jerri getting back to her dog sitting chore (That’s another story all by itself. That dog is not well trained), we elected to get back home. Wishing you all a very happy and safe Fourth of July.